Home » Why the least expensive solicitor is never the best. Why the least expensive solicitor is never the best. Posted on 29/05/2014 by New Home Expert | Comments Off on Why the least expensive solicitor is never the best. A recent report released by the Legal Ombudsman shows a high rise in the number of complaints against solicitors – in particular against conveyancers. One of the most serious issues that has grabbed the headlines were reports of solicitors not paying the stamp duty on behalf of their clients. Whilst rare, this is fraudulant. HMRC, often many years later, are coming after homeowners for payment of the original stamp duty due with interest charges added on top. Of the 7,500 complaints received by legal ombudsman in the survey, around 18% were concerned with residential conveyancing. It is thought that this due to a large extent, by the growth in the number of online conveyancers and so-called “tick-box, bucket shop style, call centre conveyancing services” often offering a conveyancing service for as little as £300. Buying a home is almost always likely to be the largest purchase most people will ever make. 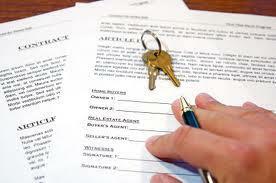 It is a legal transaction and buyers and sellers need professional and qualified legal representation. Yet despite this, after looking at the other costs involved in moving home, many choose ‘cheap’ rather than ‘best’ when it comes to appointing a solicitor – a decision as the report highlights, many often deeply regret. It is always best to have a solicitor who is local to you so that when there are issues they can be discussed face to face. They could be complex and if there is a problem you need a professional on your side to solve the problems on your behalf, not just part of a box ticking exercise. You may find there are issues years later when you come to sell the house that were missed by the conveyancer when you bought. The advice is always to get a recommendations from people who have just bought or sold. Speak to them. Then ask yourself: Does the solicitor sound competent? How well do they communicate? Will they protect your interests? Feel free to negotiate on their fees but don’t skimp. Finally, if you are buying a newly built home, never, repeat never use the solicitor “recommended” or “suggested” by the house builder. They may claim it will be “quicker” and “easier” but you can be sure there will be a conflict of interest. In addition, under the Consumer Code for Home Builders, Requirement 2.5 states that house builders cannot restrict your choice of legal representation. This entry was posted in Buying and selling property, New Homes and tagged conveyancing, solicitors. Bookmark the permalink.